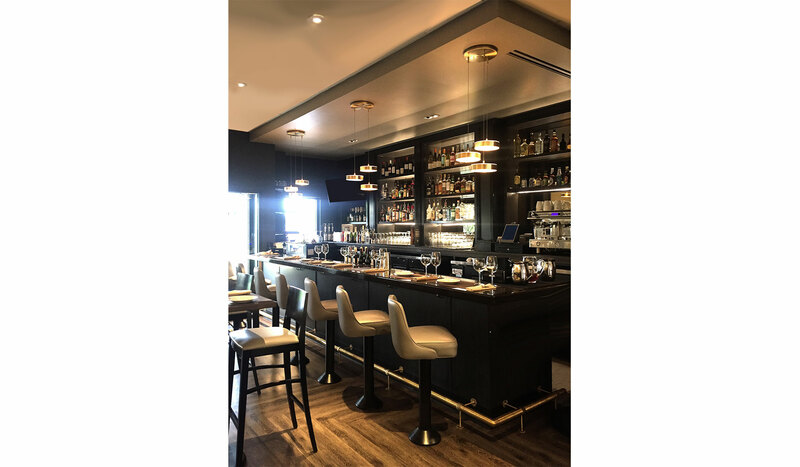 This project involved a complete front of house renovation of an existing restaurant, including the addition of a new bar. 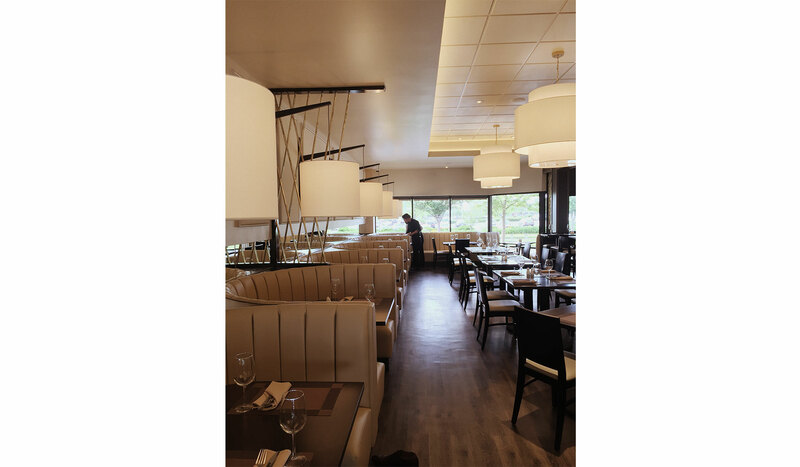 The client’s aim was to modernize and brighten the dining area, while maintaining a classic look that would be comfortable for his existing clientele. 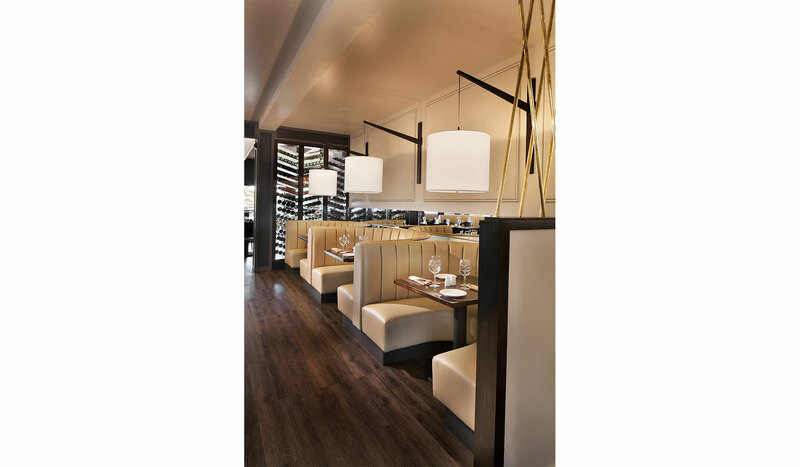 These goals were achieved by raising the ceiling with an illuminated cove, inviting curved booths, a warm palette of materials, custom brass partitions and light fixtures. 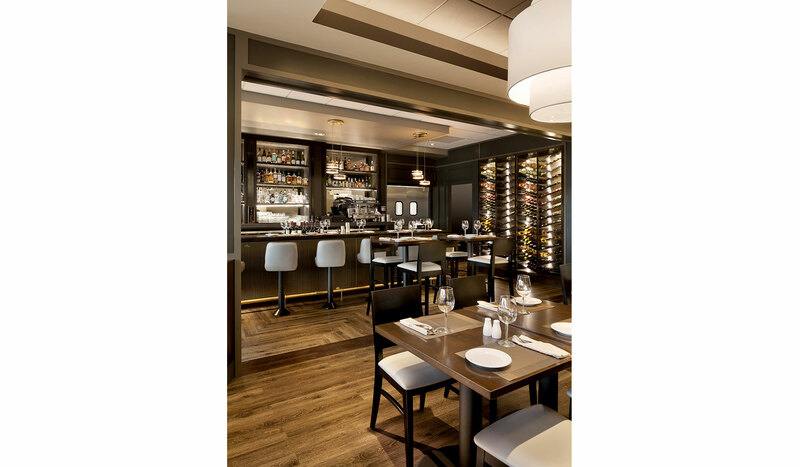 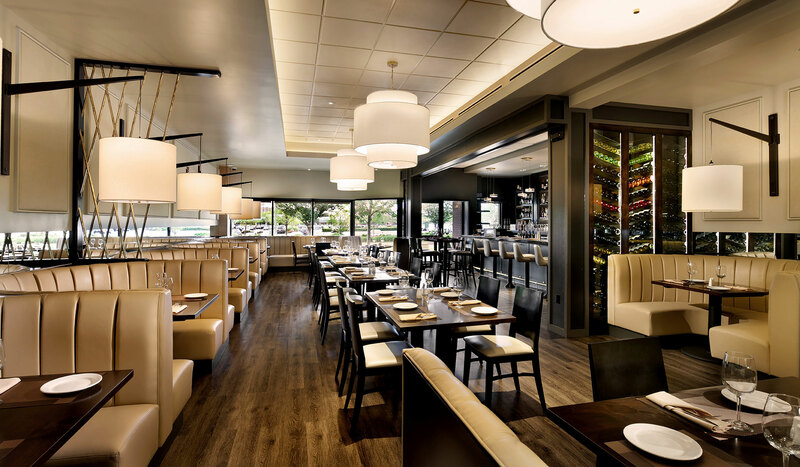 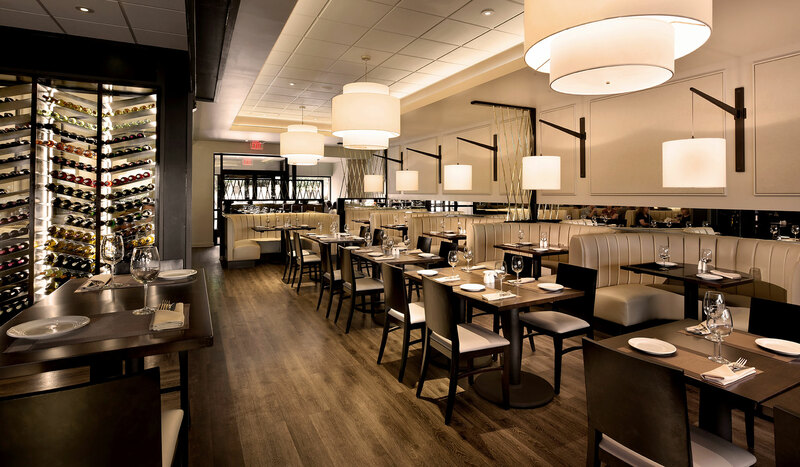 Several more spacious booths offer seating for bigger groups, and a long row of tables down the center of the space can was designed to accommodate large parties which are frequently hosted at the restaurant.